Young Indian stars such as Prithvi Shaw, Mayank Agarwal and Vijay Shankar did not receive their maiden player contracts from the BCCI. The Indian board released the central contract list for the 2018/19 season. Emerging players like Khaleel Ahmed and Hanuma Vihari were in the Grade C category but the upcoming stars like Shaw and Shankar did not meet the criteria of having played either three Tests or eight ODIs – which is mandatory for a BCCI contract. Thus, along with opening batsman Mayank Agarwal, they missed out on central contracts. The BCCI publishes a list of contracts, wherein they divide the Indian players into categories as per their performances. The A+ category is the topmost category while the C category is the last one. The upcoming players usually make it to the C category but the BCCI has fixed certain criteria to be eligible to earn a central contract. A player needs to play a minimum of 3 Test matches or 8 One-Day Internationals for the team before receiving a central contract. 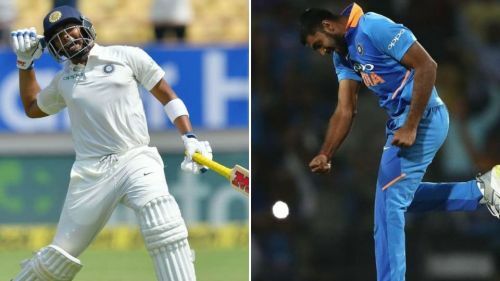 Riding on their phenomenal form in the domestic leagues, Vijay Shankar and Prithvi Shaw received their international cap for India in 2018. Shankar has played 6 ODI matches for the Indian team whereas Shaw had played 2 Tests for India in the series against Windies in late 2018. Both the players did not meet the eligibility criteria for the BCCI central contracts and thus, missed out on their maiden contracts. Prithvi Shaw had been ruled out of the Australian tour because of an injury but the teen has recovered from his injury and will play for the Delhi Capitals in the upcoming IPL. Vijay Shankar is currently playing in the ODI series against Australia. Both the cricketers are expected to the eligibility criteria before the BCCI announces central contacts for 2019/20 season.